1986. 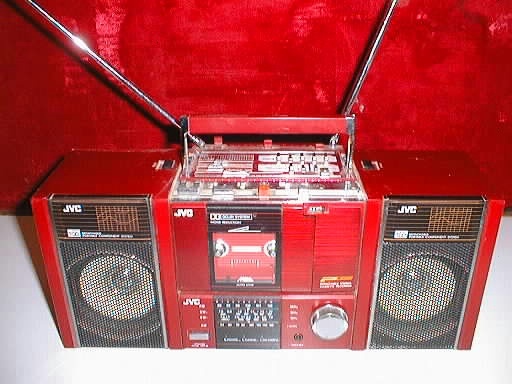 JVC is a personal favorite for personal stereos. 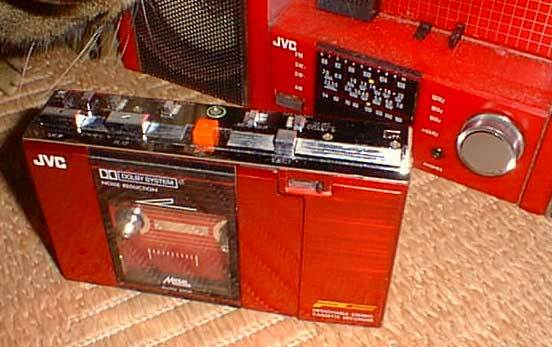 The quality, performance and sound were top-notch, the looks were the most appealing of all ’80s walkmans. Take the CX-57K–slim design, logic (feather-touch) controls and cool look. Too bad they dropped out of the portable cassette market. Paul picked this one up from Crazy Eddie, a New York area electronics chain back in 1987. He used it almost daily until the rubber pinchers began to fail in 1991. 1985. 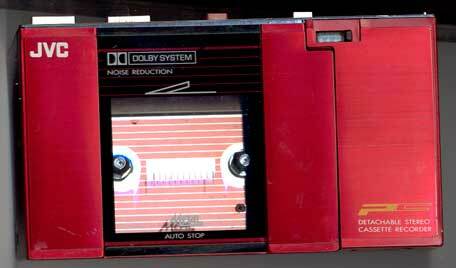 Again another winner here, this one’s a bright red recording portable, with tape counter and Dolby noise reduction. Chrome buttons, flashy, everything a portable stereo should be. But there’s no tuner…yes there is! It’s built into its boombox home! 1982. What a gem–this is at the top of our want list. This model featured all the functions of others in its class, buts it tuner was detachable and useable on its own! 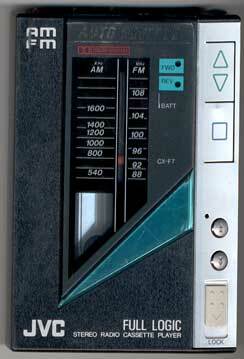 The tuner sported and atypical telescopic antenna and its small size was impressive. Take a look at those folding headphones! At steal in 1983 for $160. 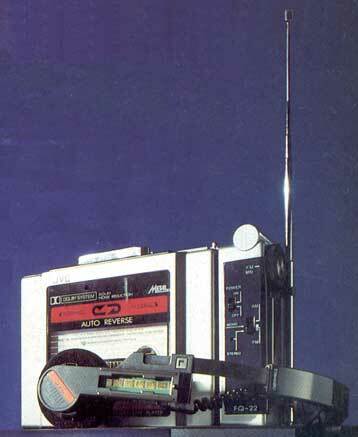 Be on the lookout for this baby or its little brother, the CQ-11K which was a cassette-only portable.